Filling our plates locally and seasonally here in Maine feels both incredible for our bodies & eases the impact on our environment, but in terms of variety it can be somewhat limiting... until NOW. Summer is the time to get creative with cooking! While there is access to an abundance of fresh food we love to dig through recipe books & blogs for fun ideas. If you are looking for inspiration, there are a million blogs out there (literally) including ours! One that we want to acknowledge is 101 Cookbooks by Heidi Swanson. This blog is a must visit for gorgeous food photography and amazing recipes that never disappoint. Thanks Heidi! This week, inspired by the piles of cucumbers at market we created a Maine Mezze Plate! Common throughout the Mediterranean and Middle East, the Mezze style-spread is a platter of small plates, dips, and salads meant to be shared as either an appetizer course or a light meal. To make it Maine-style we are going to include ingredients from many local farmers. We are sharing our Tzatziki recipe, which is based on the delicious Greek yogurt from Tide Mill Farm. We will combine it with falafel, our own TRF Honey Pickled Radishes, olives, Winter Hill Feta, and some sugar snap peas from Six River Farm. You could choose to add hummus, grilled veggies, pita...the list goes on! 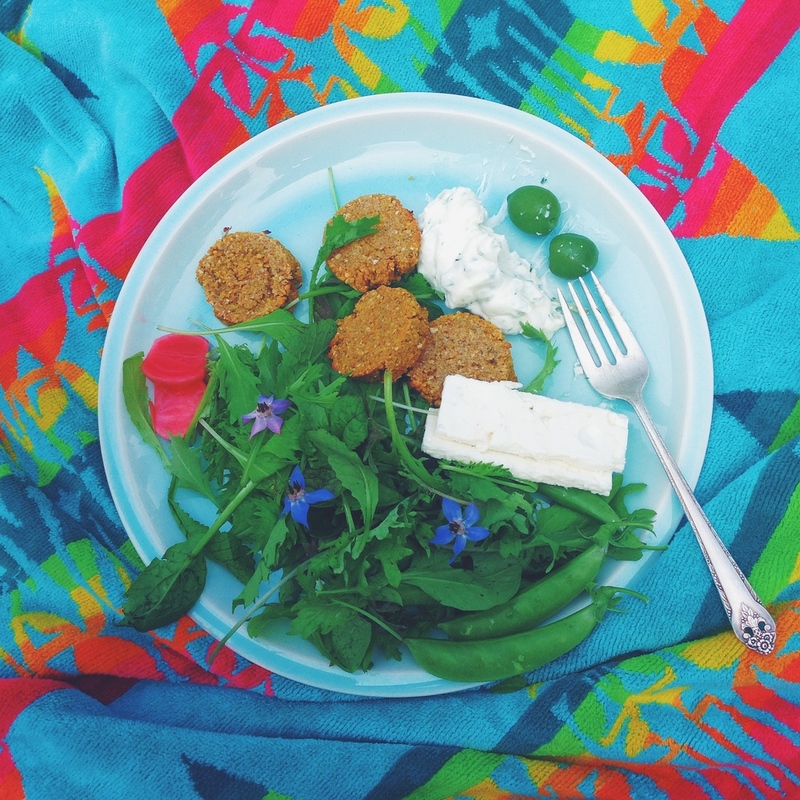 Enjoy this time of getting creative with summer eating! salt and white pepper to taste. In a large bowl combine all ingredients. Serve chilled as part of a Mezze Plate! Cover and refrigerate for up to 3 days. Ingredients may separate, stir just before serving. When life gives you cucumbers...make fried pickles! Back Online and Brunchin Hard!